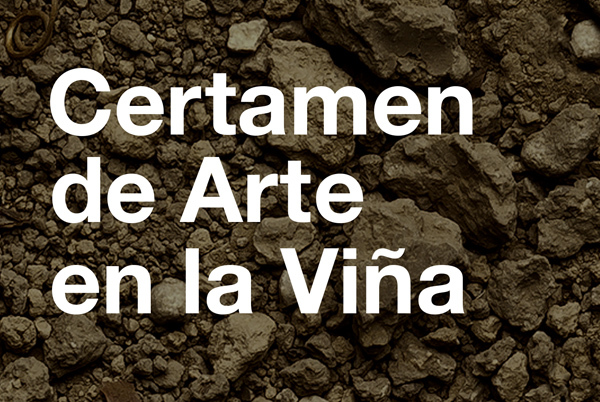 In Aroa Bodegas in 2017 we organized the first certamen “Arte en la Viña”. We wanted to creat a story that goes perfectly with our philosofy, so that the visiters not only had amazing gastronomic experience but were also able to enjoyed temporary ephemeral Land Art museum. 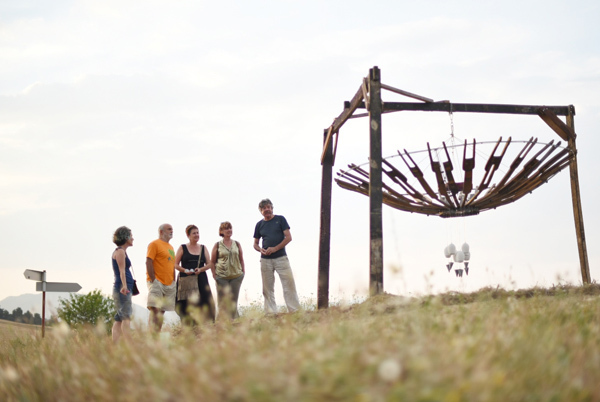 From June to September 2017, our ephemeral Land Art Museum offered a artistic walk-through vineyards and cereals field. Visitors could enjoy seven evocative and inspiring natural materials creations. Lesley Yendell, Sandra Nuin, Roberto Pajares “El Pájaro”, Pamen Pereira, Lucía Loren, Óscar Cenzano and Demetrio Navaridas. 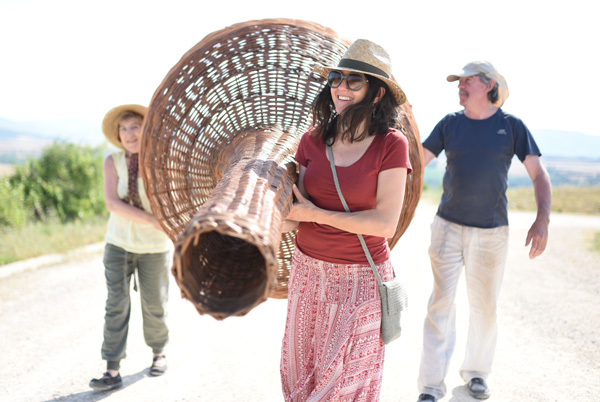 Every two years, in the month of June the Land art temporary museum of Aroa Bodegas will open the door for new creations. For a week, artists and neighbors live and work “in auzolan”, in cooperation, with one common goal, which is to bring art and culture to the Yerri Valley. To access this website, you need to have the minimum age for purchasing and consuming alcohol under the laws of your country of residence. If there is no law about this topic, you must be over 18 years. You must be over 18 to see the web.